Los Angeles Chargers' running back Melvin Gordon played his first whole season in 2017, finally breaking the 1000 yard rushing mark. Gordon was the workhorse back for the Chargers, getting at least 14 carries in 14 out of 16 games. And that's not including receptions. Gordon ended the 2017 season with 284 rushing attempts for 1105 yards and eight touchdowns. He also caught 58 passes on 83 targets for 476 yards and four touchdowns. The Chargers just missed out on a playoff appearance. 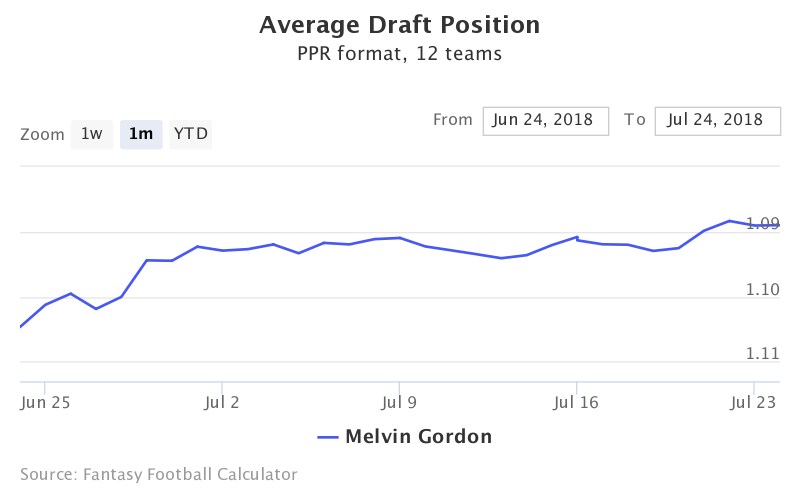 Gordon is currently being drafted at the end of the first round (1.09) in 12 team PPR drafts. He is the 6th running back off the board. His draft position over the past month has seen him go a few spots sooner, going from the 1.11 to 1.09. Gordon will probably level off around that 1.09 spot, unless injuries or suspensions come out during the preseason. Philip Rivers and company should see a repeat of 2017's #4 overall offense in 2018. They are returning all of their wide receivers, which should open up the run game a bit. The loss of Hunter Henry to injury may even be a bit of a blessing for Gordon, since now Rivers may have to dump off passes more often. The Chargers' defense was also a nice surprise in 2017, and worked on it further this offseason by adding Safety Derwin James and LB Uchenna Nwosu in the draft. With Joey Bosa leading the defense, the Chargers may hold games a bit closer than usual, meaning Gordon will have plenty of opportunities to kill the clock. All of the above points to a breakout season for the fourth year running back. 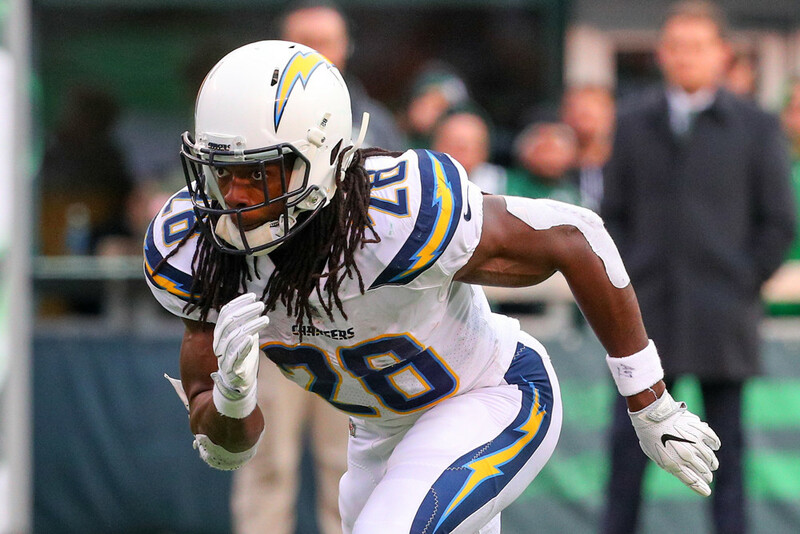 Austin Ekeler and rookie Justin Jackson may see some playing time, but Gordon has shown he can be a three down back. Gordon is a late first round running back that could outperform his ADP. If owners want to target him, they may have the opportunity to draft Gordon late first round and still pick up a solid WR or RB in the top of the second round. Gordon should continue to be the workhorse back, getting carries and targets. It wouldn't be a surprise to see him as a top fantasy back, especially in that Chargers' offense.